John Dyer, professor of information systems, received his BS and MBA degrees with concentrations in finance and quantitative methods from the University of Alabama at Birmingham, a MMIS degree from Georgia College & State University, and MS and PhD degrees in APPLIED statistics from the University of Alabama. Dyer’s area of research and application is information systems management and education, database design and implementation, data warehousing and business intelligence, statistical process control (emphasis in autocorrelated processes, forecast-based control charting, and robust parameter estimation). Other research interests include statistical applications in information systems/technology and finance. Concerning computational literacy, Dyer is from expert to computationally literate in various areas of operating systems, word processing, spreadsheet applications, statistical software packages, programming languages, web design, networking, and database applications. He is a member of the Association for Information Systems. Teaching since 1993, Dyer has undergraduate and graduate teaching experience in fields of statistics, mathematics, finance and information systems. His teaching emphasis includes web database development, database, and software applications at the undergraduate level. Before coming to Georgia Southern University he served four years as an assistant professor of mathematics at Kennesaw State University, teaching introductory and advanced probability and statistics, as well as algebra and calculus. Dyer has also worked and consulted in both the private and public sector. 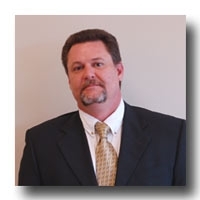 In addition to 13 years of military service, he has been professionally employed as a statistical analyst, a business manager, and as a procurement specialist. His paid consulting clients include Anheuser-Busch and the Kuwait Institute for Scientific Research.